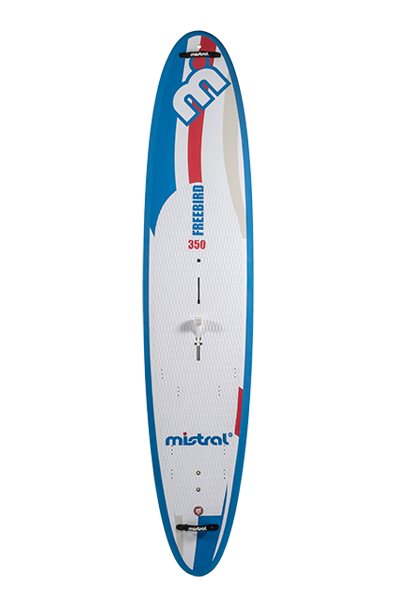 The Freebird for pure windsurfing fun and the Albatross for added stability. ​When the Mistral Competition was launched as far back as 1986, who could have guessed it would go on to sell a staggering number exceeding 250,000 units. 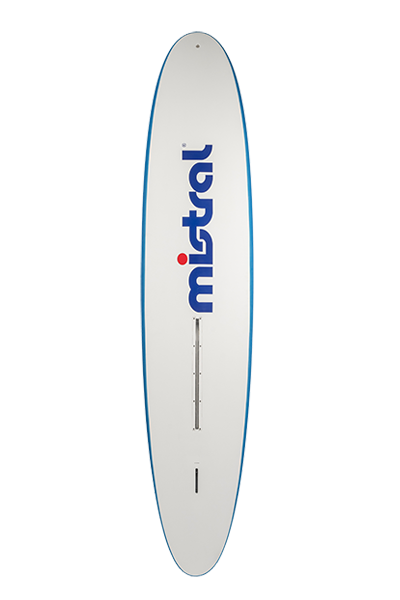 Following on from other long board styles of time, the simplicity and sensation these boards offered as you glide over water, can only be replicated by reproducing a similar shape and size. Today there is genuine interest in revisiting this golden age of windsurfing for its purity and simplicity. 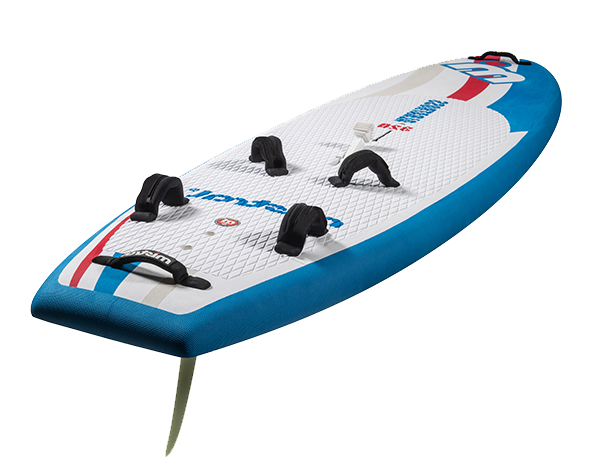 The FREEBIRD is super good fun in light to moderate winds, up-haul friendly and a very stable platform upon which to play. Combine this with a super light, easy to set up and take down and stow rig - and you've all the very best elements of the sport in a neat package as the sport was first intended! Step aboard and you'll be transported back to the 80s in true style. 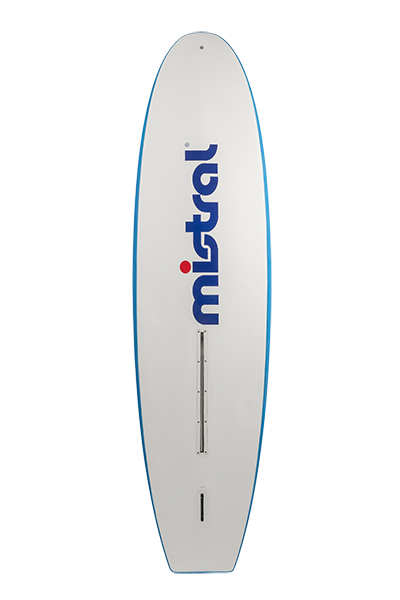 A fully retracting daggerboard, allows you to sail on all points of sailing, enjoy some old style free-style moves on top of a super soft top decking that makes for low impact use and super secure grip under-foot. Nose and tail handles add just that bit extra ease of use when launching or controlling when on the beach and a super strong Tuttle box provides super strength in critical areas of the fin. 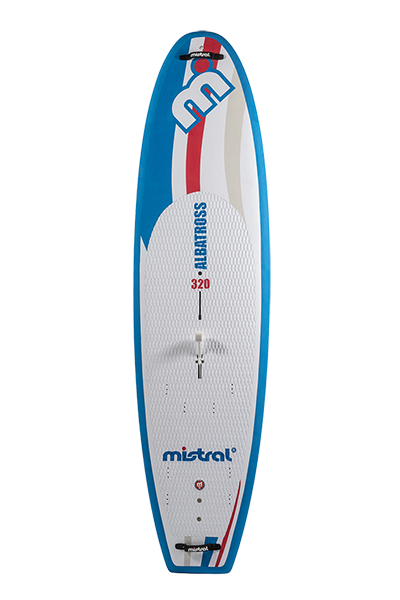 ​​If you're a complete novice, or needing a board for the family, or perhaps a Windsurfing School owner, the Albatross 320 is the perfect board. 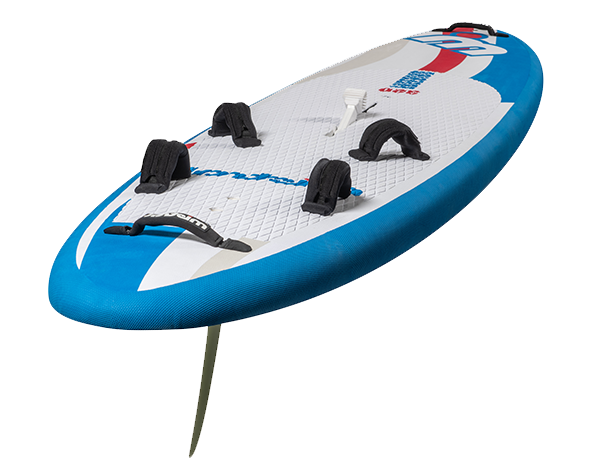 Fast to set up, fun in light to moderate winds, up-haul friendly, this super stable platform will keep you smiling during the learning phases. A fully retracting daggerboard, allows you to sail on all points of sailing and benefits in having a super soft top decking that makes for low impact use and super secure grip under-foot. Nose and tail handles add just that bit extra ease of use when launching or controlling when on the beach and a super strong Tuttle box provides super strength in critical areas of the fin.